Keeping documents and work information organized during tax season can make filing income taxes simpler and less stressful. So when individuals find that they are missing important paperwork before their meeting with a tax preparer, panic can set in. As Â a rule, employers, banks and other parties who are responsible for sending taxpayers the necessary forms they will need to file must send out this paperwork by January 31. If weeks have passed and individuals have not received their statements, there are a number of steps to take. For missing W-2s, workers should first contact their payroll office. 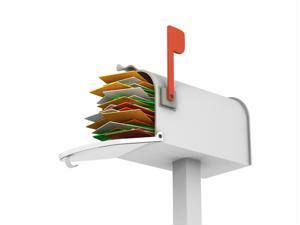 Incorrect information, such as a wrong address, could be the culprit for missing W-2s. If this is the case, an employee's company may issue them a replacement W-2 or enable them to pick it up at the office, according to Fox Business. Many companies are now allowing their workers to download this information online, so it may also be expedient to find out if the company offers this retrieval method. However, if individuals have requested a replacement and have still not received the form, it might be a good idea to contact the Internal Revenue Service. When companies generate W-2s, one copy is sent to the worker, while another is delivered to the IRS. It's likely they will already have consumers' information on file, so taxpayers should be prepared to provide some compensation information - which can be found on their last pay stub - to the agents, Fox Business reports. The IRS will then alert the employer of the issue and sendÂ out substitution W-2 forms for the worker.